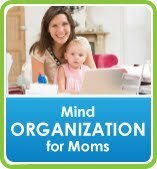 New Power of Moms Site is Live!! 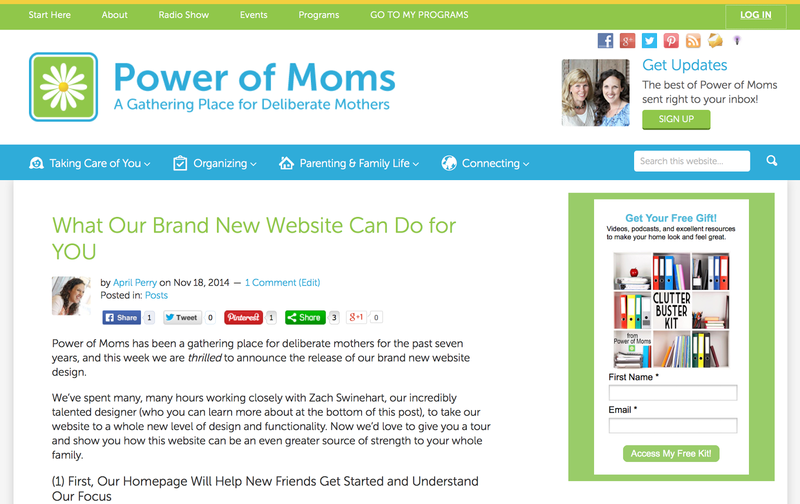 Our brand new Power of Moms website has just gone live, and I couldn't be more excited. Add to all of that the effort of our board of moms (who are helping us iron out the inevitable kinks), and you now have a gathering place for deliberate mothers that is poised to strengthen the world. Such a gift. I feel lucky to be a part of it. So if you'd like to check it out, click here or on the image below for a little tour! However, one experience keeps coming to the front of my mind, and I felt impressed to sit down today and record it. A few weeks ago, while I was visiting and caring for my parents, my dad's heart stopped. The first time, he fell flat on his back in the kitchen, and since we didn't know what had happened, and since he seemed pretty much fine (though a bit dazed), I had him rest in the front room and watch TV with Grace, Ethan, and Spencer while Alia and I got my mom changed for bed. I heard my children scream from the front room, "Mom! Grandpa stopped breathing! Mom! Come help us!" I sprinted across the front room, frantically trying to call 9-1-1 as I ripped off the gloves I'd been wearing, not sure what I was about to see or what was going to be required of me. Alia pulled out her own phone and said, "I'll call 9-1-1. You take care of Grandpa." So I threw down my phone and bee-lined to my dad. He was staring straight forward. His body was rigid. There was no breathing. No response. Only a quick gasp or a jerk every couple of seconds, like his body was fighting to live. In that moment, I had no idea what to do. I couldn't lift him out of the chair. I didn't know if this was something related to his diabetes or not. He hadn't had any chest pains or any problems earlier (other than that fall) but he'd been totally fine when I sent him to rest. So I did what I have been taught to do my whole life. I wrapped my arms around him, I closed my eyes, and with all the faith of my heart, I said, "Heavenly Father, please help us." Within three second, my dad started breathing again. His body calmed, and he looked me in the eyes and began talking to me...totally unaware that anything had just happened. "Dad," I replied as I hugged and kissed him, "We almost lost you. You weren't breathing or responding. The ambulance is on its way." At that point, Alia handed me the phone, and the emergency operator guided me to take my dad into the living room and help him lie down on the floor. Now the short story is that my dad received a pacemaker the next day--after a frightening night of flat-lining twice at the hospital. Although he has had to go into the hospital a second time since then, he is gratefully still with us, a blessing for which I can't thank the Lord enough. But what I need to record here is one of the most precious moments I have ever experienced. It happened as I knelt by my dad's side while we waited for the paramedics. I didn't know if I was ever going to be with him again in this life. I kissed his cheeks and his forehead and said, "I love you, Dad. I love you so much." He kissed my cheek and replied, "I know you do. And I love you, too." Such a simple moment, really. But it's one that put everything into perspective for me. If I were to have lost my dad that night, I would have had zero regrets. Because of my mom's Alzheimer's, I have been at their home practically every Thursday evening for years. I have been going through photo albums with him, we've had fun at the beach, we've eaten dinners together and laughed at funny memories. He's listened to each of the chapters of the book I'm writing for my mom. In addition to all that, we have a lifetime of beautiful experiences together...vacations as a family, late-night poster-making for my student council campaigns, hours and hours when I got to snuggle next to him while he read the newspaper or watched TV at night. We obviously want to make many more memories together, but when the time comes for us to part, I have a powerful feeling of peace--because we're ready. This idea has gotten me thinking about all of my relationships. 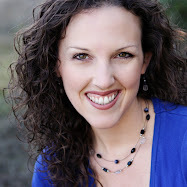 If the situation had been different--if I had been waiting for the paramedics to come for my husband, one of my children, another member of my extended family, or a dear friend, have I lived my life and prioritized my relationships in such a way that I would feel that same peace? "If there is something that needs to change in your life, do it now. Don't wait until tomorrow or the new year. Make it happen today." (1) I'm going to do a better job taking care of Eric. He gives me shoulder massages and takes me on dates and puts me down for naps. Although he says he's just fine and that he doesn't expect more from me, I want him to know--every single day--that he's my hero and my true love. (4) When I have the chance to spend time with Grace (who seems to miss me the most when she's at school), I am going to savor those moments and make sure she knows how much I adore her...even when I'm feeling tired or grumpy. (5) When Alia asks me to help her with her book or wants to record a podcast with me, I will make it an appointment -- instead of always saying, "I'm too tired tonight." (6) When I visit my mom and dad, I want to record as many details as I can...especially asking my dad to tell me more stories from his early years. My children and grandchildren need to know these amazing people who came before them, and what a gift it is that we have this time together right now. Am I going to be perfect at all of this? But the more experiences I have, the more I know that being perfect isn't the point. It's this trying--this consistent work in the midst of the "stuff" of life when we get to take care of the people that we love. Sending love to all of YOU today! 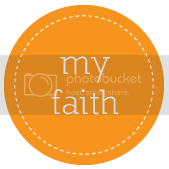 Your friendship through this blog means more than you know.